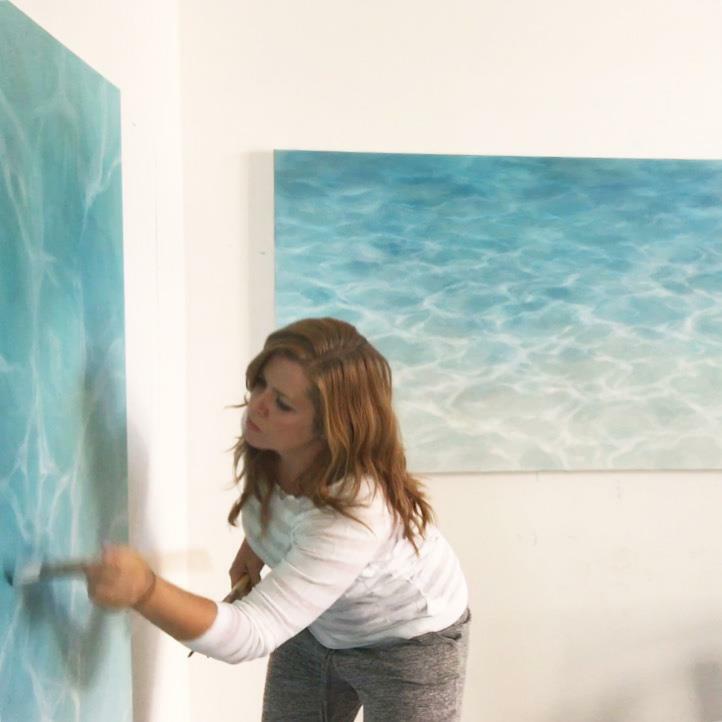 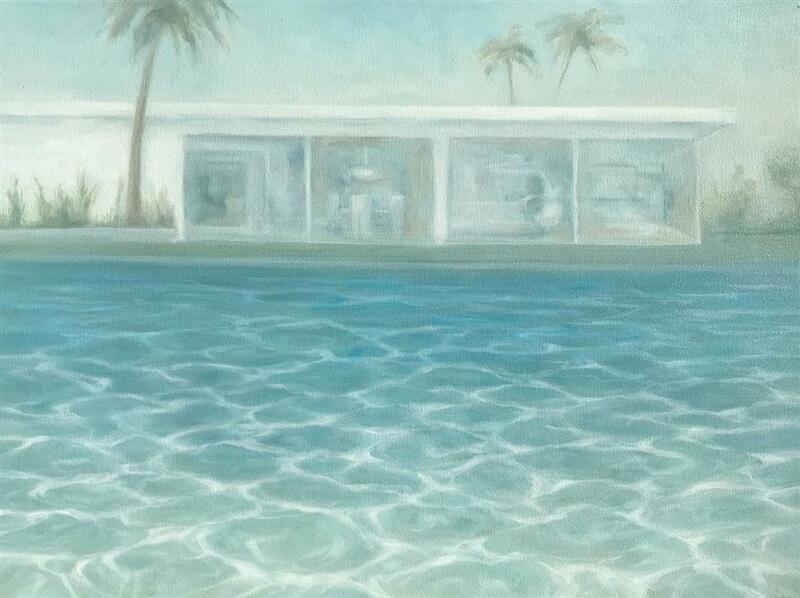 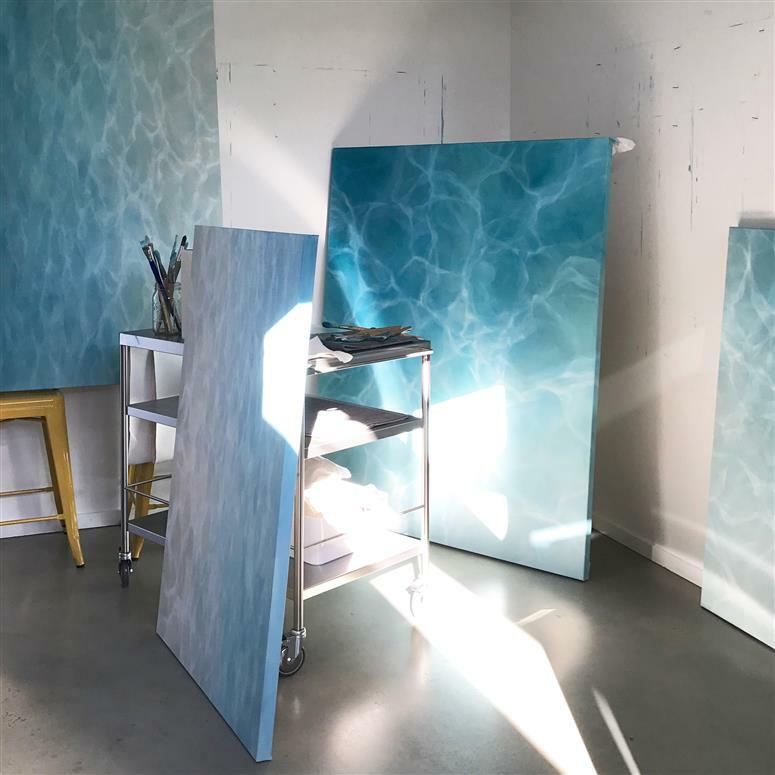 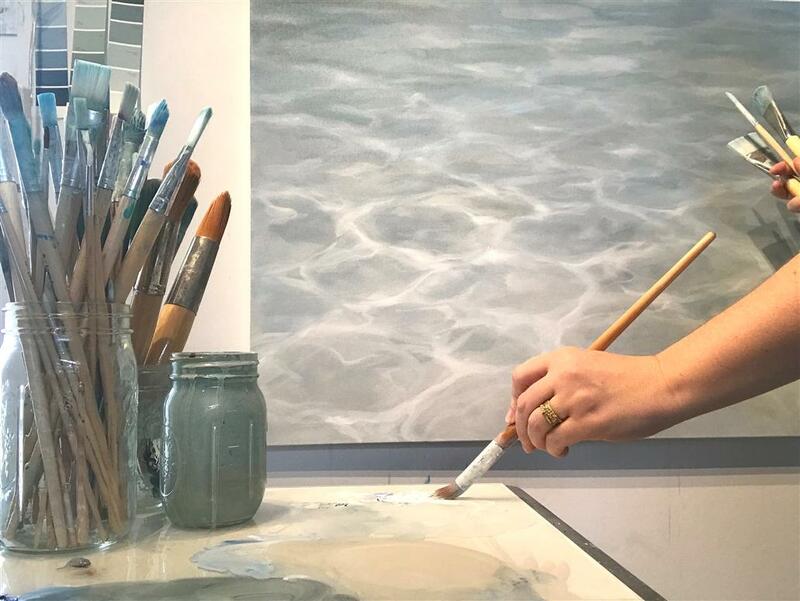 Laura Browning draws her inspiration from time spent on warm tropical beaches. 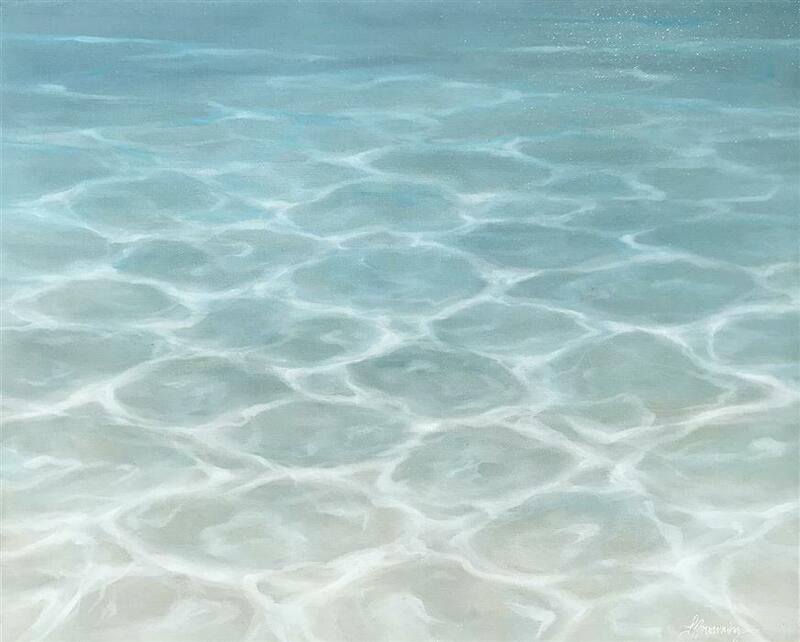 She is fascinated by glowing light and mesmerizing patterns of refracted sunlight in shallow sandy beach water. 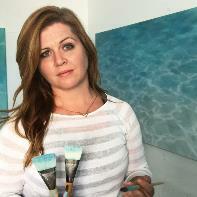 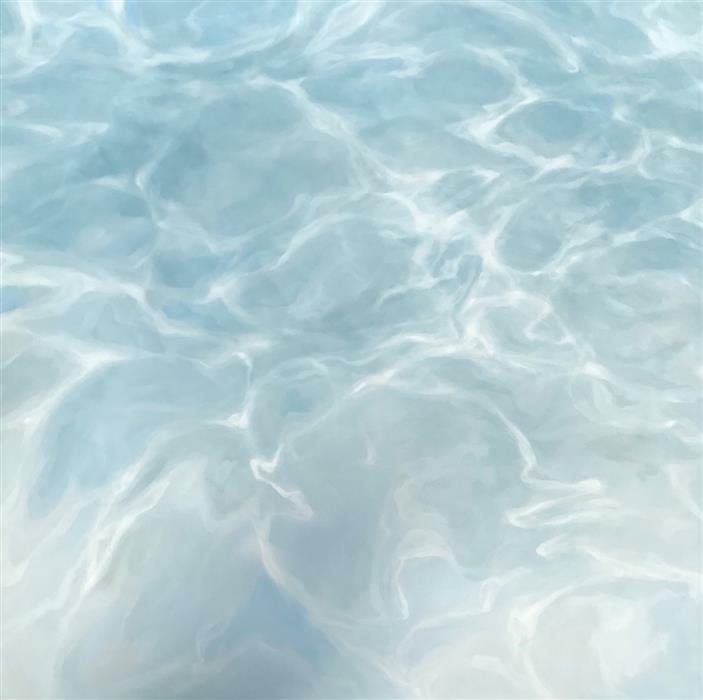 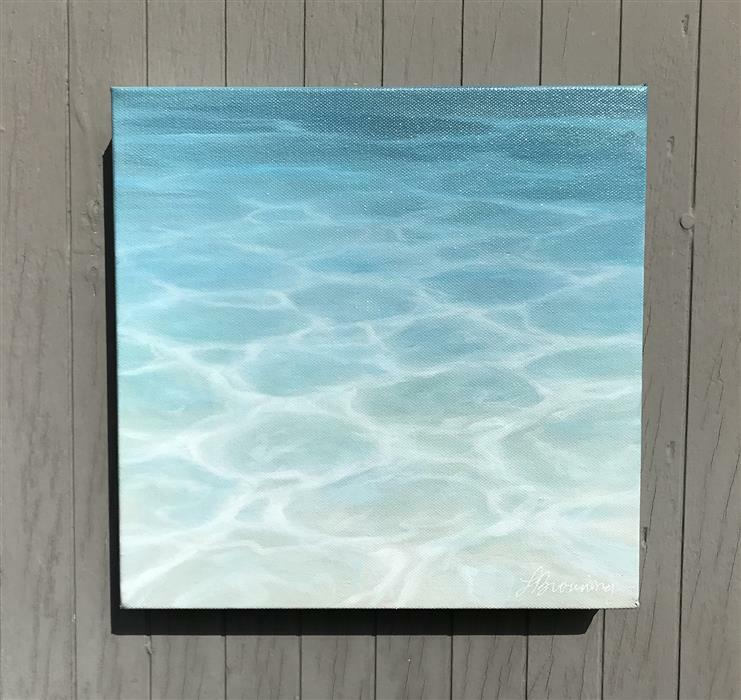 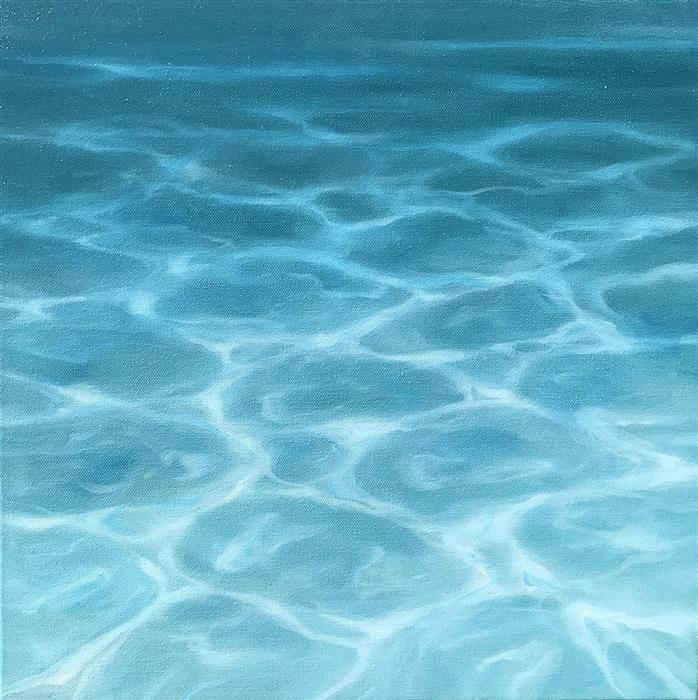 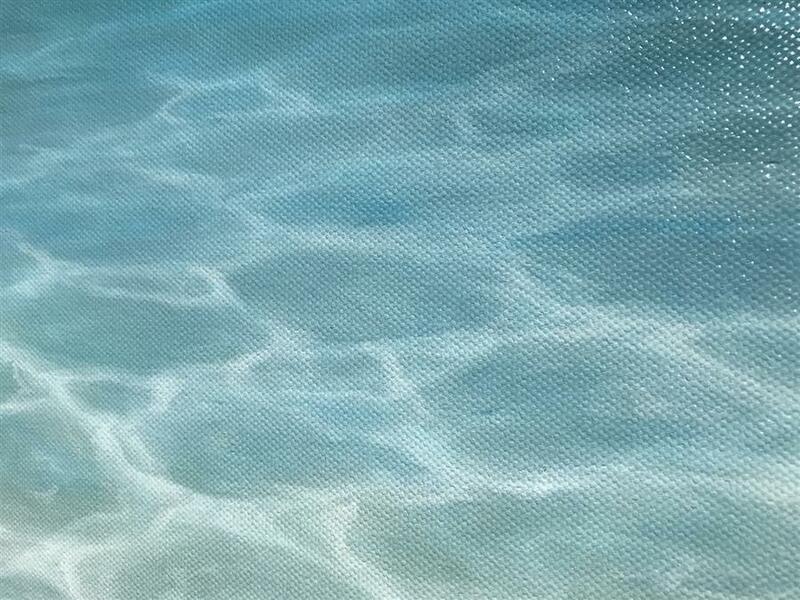 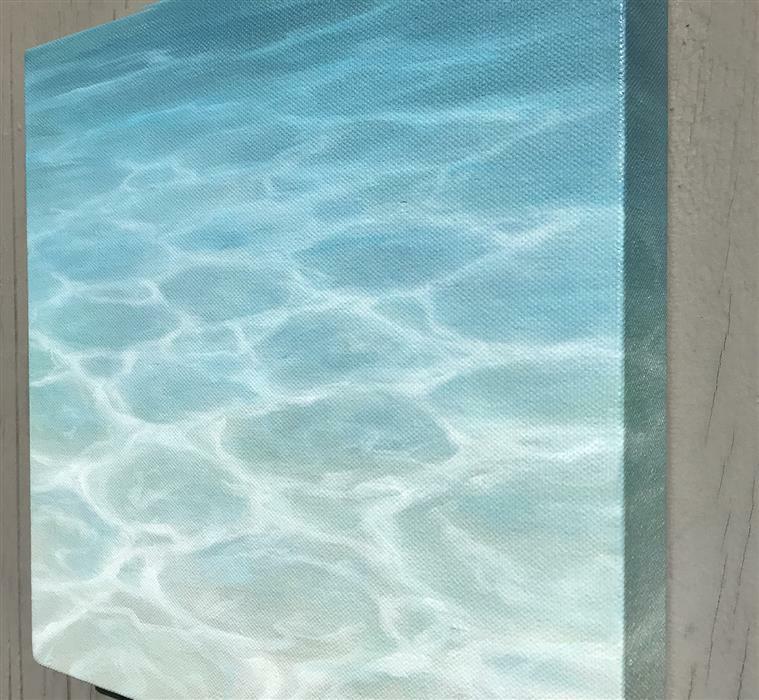 This piece is part of her signature style, and takes the viewer to a white sands beach with aqua water.